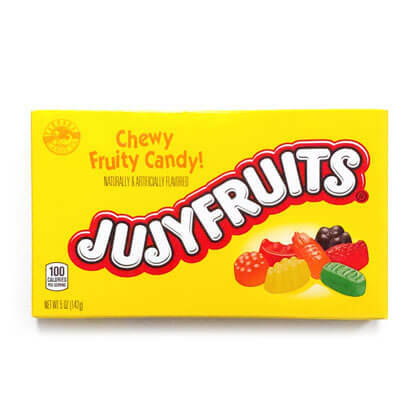 Jujyfruits candy theater box. Assorted flabors of lime, raspberry, lemon, orange, and anise. Approx 52 pieces per box. Box is approx 5.5 by 3.25 by .875 inches.